I’ve never been the biggest X-Men fan out there, but I certainly get their appeal – a group of unique individuals who want to make a better world that is free of prejudice and fear of being different. 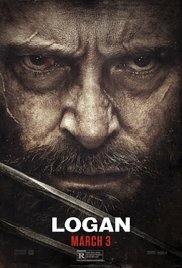 But part of the reason I do not particularly care for the X-Men is because of their mixed movies, ranging from the laughably bad “X-3: X-Men United” and “X-Men Origins: Wolverine” to the decent “The Wolverine” and “Days of Future Past.” The only film in the franchise I thought was any good was “First Class” and that was entirely due to the acting and on-screen chemistry of James McAvoy and Michael Fassbender. Part of the problem with this series of movies is too much of a focus on Hugh Jackman’s Wolverine, due to fan popularity, and leaving other characters with little to no development. 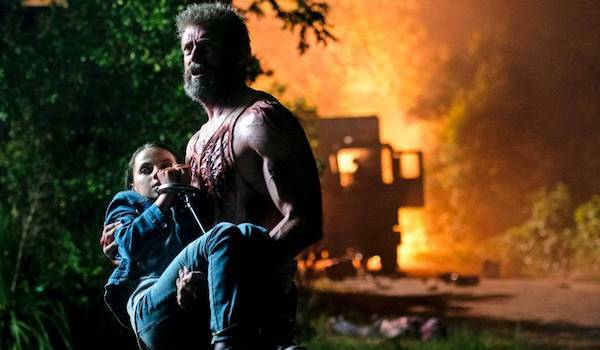 As great as Jackman is at playing this vicious character that is often more beast than man, the films could never go all-out on his brutality without being R-rated. But thanks to the success of “Deadpool,” Fox realized they could make R-rated superhero movies that don’t hold anything back and still make more than enough money at the box office. Which leads us to “Logan,” the conclusion to Hugh Jackman’s run as Wolverine and a much darker and grim outlook on the future of mutants. The film is basically a modern-day western, having more in common with “No Country for Old Men” and “Hell or High Water” than any previous X-Men movie, as we are given a tale of redemption, loss, and belonging in a world that has long since passed. In the end, the film offers a somber, touching final note to a legacy that has been building up for 17 years and nearly ten movies. Set in the year 2029, mutants are dying out. No new mutants have been born in decades, and the surviving ones have been systematically hunted down. 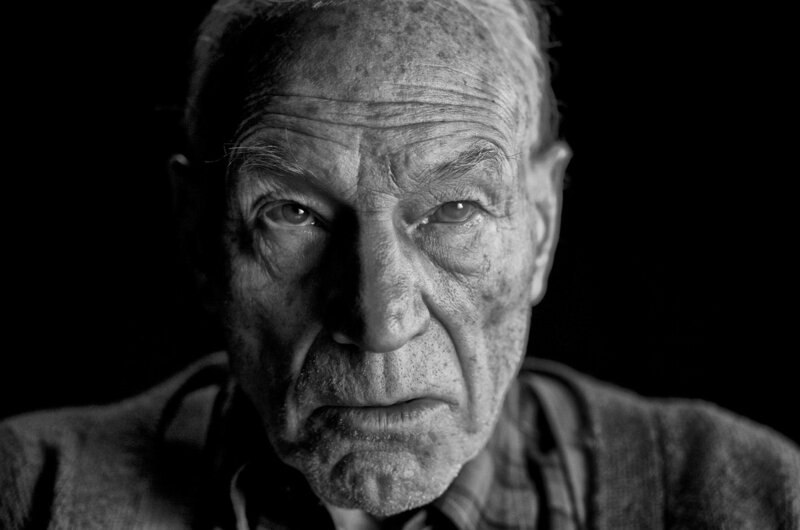 The only surviving members of the X-Men are Charles Xavier (Patrick Stewart), who is suffering from several mental diseases that make him lose control of his powers, and Logan (Jackman), whose healing factor is slowing down and is being poisoned by the metal in his body. Charles is locked up in an abandoned warehouse just behind the Mexican border, while Logan works as a limo driver, paying to keep Charles safe. One day though, Logan is contacted by a nurse and told to take a little girl, Laura (Dafne Keen) to North Dakota where she’ll be safe. He begrudgingly takes on the task and slowly learns more about Laura’s abilities and her similarities to him, all while they are hunted down by a military faction called the Reavers. Despite the focus on Wolverine thoughout this movie, I felt the best part was Patrick Stewart’s performance as a dying Professor X. Stewart’s role is unlike anything I’ve seen him play before, one filled with confusion, sadness, and pain. This is a man who wanted nothing more than to show the world that change isn’t to be feared, and instead watched everyone he cared about die and his dream fade to ashes. At one point he questions whether mutants are actually god’s mistake and that everyone was right to fear them. Stewart plays the role as a decaying man, much like the world around him. He can hardly function without babbling incoherently and has to constantly be on strong medicine so his mental abilities don’t overpower him. As the film progresses, we see the madness disappear and be replaced by hope when Charles bonds with Laura and a farming family they meet up with, as we see his humanity and immense kindness once again. Of course, the brutality of “Logan” is over-the-top but we should expect this from an R-rated superhero film. “Deadpool” has taught us that nothing will be spared in these movies, and we get to see every bloody limb ripped clean. But “Logan” does take moments to calm down and make you realize how lonely Wolverine and Charles are in this world now, and that everything they ever worked for means nothing more to these people than a fantasized comic book. So with all the dismemberment, sorrowful tone and finality to everything, this certainly isn’t a superhero tale for everyone.